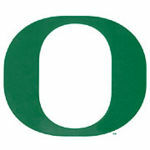 Oregon loses game 1 2–10. Oregon wins game 2 2-1! Gonna finish under .500, ouch. Oregon loses game 3 4-11 and drops the series. Got a tiny bit interesting in the 9th as Oregon had the bases loaded with 2 outs, but I didn’t pay attention to who the last batter was cause I was also watching the softball game and he struck out looking, sadly the count ended 0-3. How do you strike out looking with the bases loaded in the bottom of the 9th with a 0-2 count?